The facade of this Indiana home was filmed for the popular nineties sitcom "Roseanne." So it doesn't have a tennis court, private gardens, or a 13-car-garage, but as reported by Realtor.com, this home is famous for something--the facade of the Indiana home was made famous by The Conners' home on the popular nineties show "Roseanne". And, its asking price is just $129,000. 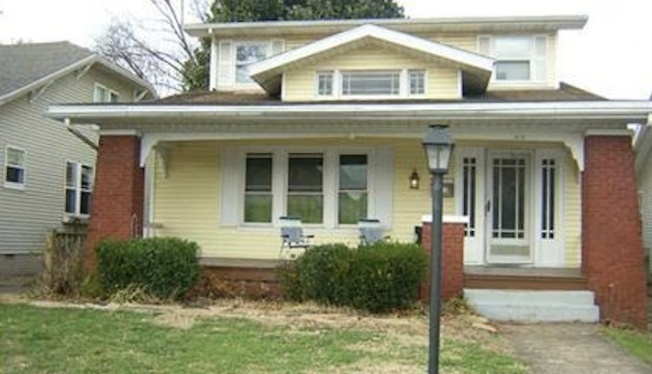 The homely house is located in Evansville, Indiana, or the fictional Lanford, Illinois, as was the location of the home on the show. Also in Evansville? The Lobo Lounge, where Roseanne Conner shot pool and drank beers with her husband Dan. But in real-life Evansville, it's a pizzeria. The home, built in 1925, has four bedrooms and two bathrooms, and comes in at 1,912 square feet. The kitchen was recently updated, as were the windows in all the main rooms, and it has a rec room in the basement. The listing describes it as a "great home for college students close to the University of Evansville." So though this is a celebrity house of sorts, celebrities will likely look the other way. But when Twitter user Mette tweeted the listing to Roseanne Barr, Roseanne replied, "I know someone who wants it!" So, maybe I'm wrong, after all.